If I could pick anyone in the world to have me for secret santa, it would hands down be Bill Gates. The thoughtful billionaire and all-round good egg, puts his name into Reddit’s secret santa every year and one very lucky Redditer receives a personalised gift box from him. 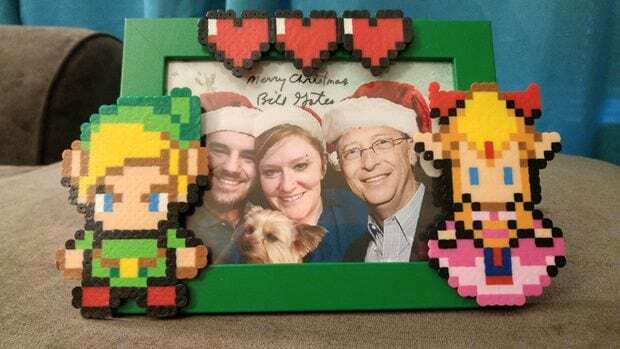 Aerrix was ‘flabbergasted’ when she received the huge box, and wrote an insanely excited message detailing all the goodies and thanking Bill for his ever-generous nature. The box was ultra personalised and carefully chosen by Bill after he scoured her Reddit profile. Incredibly, the Microsoft co-founder even Photoshopped himself into a photo of Aerixx, her husband and her dog. 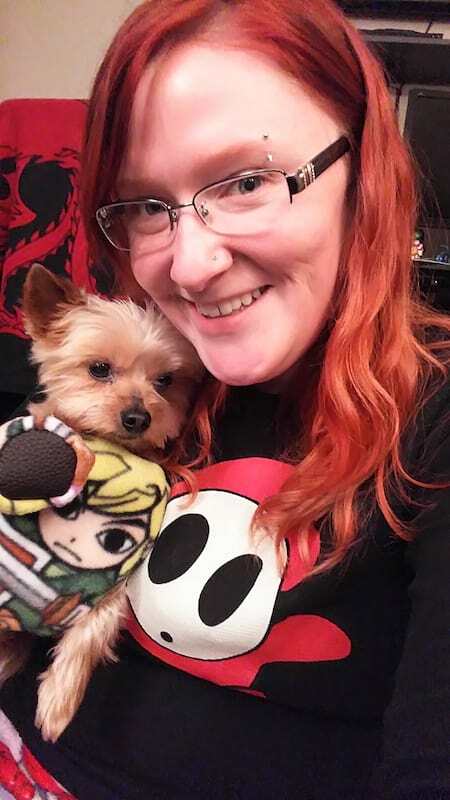 The first present she opened were the matching Zelda mittens for herself and her dog, who Bill addressed by name in a note. 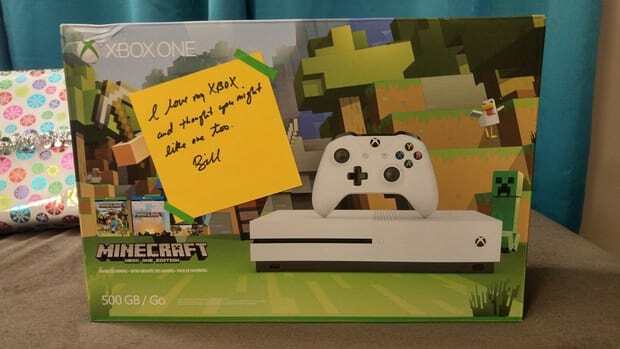 On the Xbox, there was a handwritten note from Bill reading ‘I love my XBOX and thought you might like one too’. Yeah I think she liked it Bill. 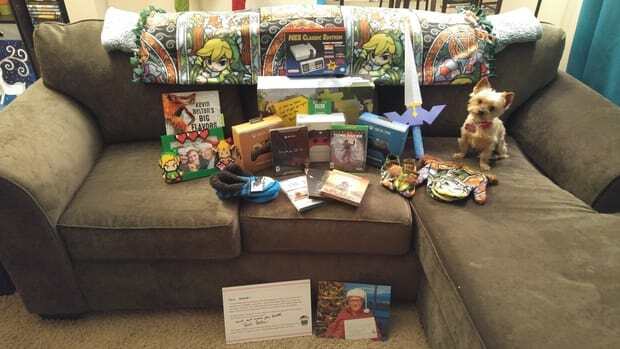 You can feel the excitement when reading her post on redditgifts as she talks about her ‘pretty Zelda things’ and consoles. Gates ‘really knows how to treat a girl to some video games’, and it sounds like he nailed her personality. I tear into the next box and I just…I lost it yall. I did. I started screaming like a little girl to my mom on the phone…I was just blown away! 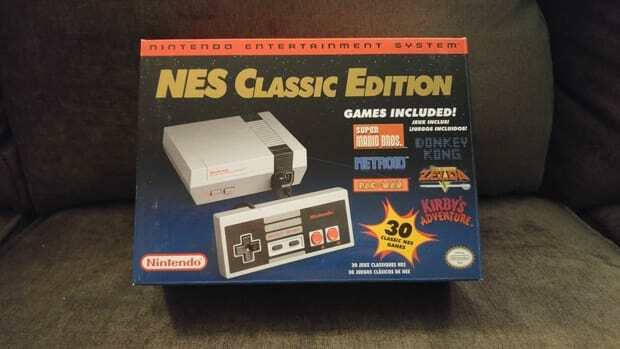 An NES Classic Edition! WHAAAAAAT! I’ve wanted one of these SO BAD! And NOW I HAVE ONE! BECAUSE BILL GATES! GAH! I always thought that such a rich, important guy wouldn’t have the time to be so thoughtful, but Bill Gates never forgets about the little people.